Many of you are not aware that I am a breast cancer survivor. I was diagnosed in July of 2004. I was very lucky that my cancer was diagnosed early and I feel extremely blessed to have made a full recovery. This Soft Reminder is my way of reminding all women to do self exams and to stay up to date with their mammograms. 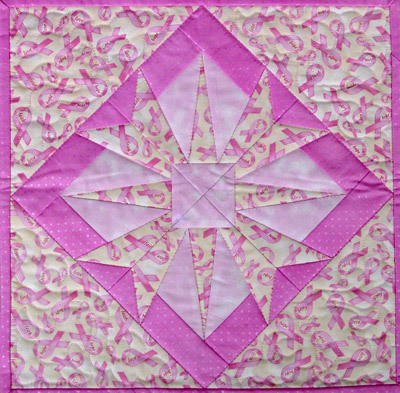 Download the Soft Reminder Quilt Pattern and Instructions Sheet. It is a completely free download. Simply follow the following link to download the pattern.